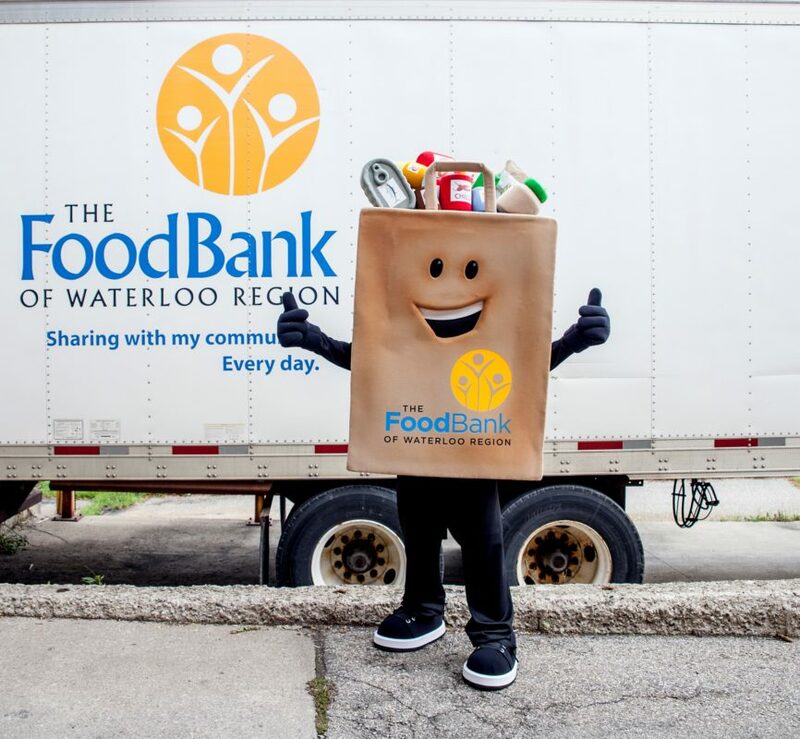 Brought to life in 2018, Phil the Food Drive Bag is the official mascot for The Food Bank of Waterloo Region. He is here to share his favourite things and help people understand how hunger shapes our community! As the official mascot for The Food Bank, you will see Phil out and about at community events! Next time you see Phil, be sure to say hi, he will happily greet you with a smile, high-five or thumbs up! If you are interested in inviting Phil to your next event, please complete the online form below. A team member will respond to all requests within three business days. We ask that you provide a minimum of four weeks notice for your event. We do our best to accommodate all opportunities, however a request does not guarantee an appearance. Note: In order for Phil to attend events, he requires access to a secure, private room, on-site during the event. If you have any questions, please contact The Food Bank at marketing@thefoodbank.ca. Request Phil for your Event! NOTE: We will do our best to accommodate all opportunities, however a request does not guarantee an appearance. In order for Phil to attend events, he and the handler must have access to a secure space, on-site that locks to store valuables during the appearance. Please specify the start time of your event. Please specify the end time of your event. Please specify the time you would like Phil the Food Drive Bag to appear at your event. Please provide the phone number for where the contact person can be reached the day of the event. Please provide the name of the person we will meet the day of the event. Please provide specific information about where to report the day of the event. Please provide a brief description of the event, identify any dignitaries in attendance (full names, titles). Please provide details around where the secure, on-site change room is located. Please list any activities you would like Phil the Food Drive Bag to participate in, including: photo opportunities, etc. If there are any special requests, please include them here. Please list any engagement or promotional opportunities for The Food Bank. For example: is there an opportunity to speak at the event, distribute promotional materials or advertise that attendees can bring food and fund donations to the event.